“Pride is characterized by ‘What do I want out of life?’ rather than by ‘What would God have me do with my life?’ It is self-will as opposed to God’s will. It is the fear of man over the fear of God. As a government leader, President Benson was equally dedicated to doing what was best for the kingdom of God. When he served as the United States secretary of agriculture, he received much “applause of the world,”4 along with a large amount of harsh criticism. He did not allow either to ring in his ears. Instead, he was true to a reminder he frequently received from his wife, Flora: “Don’t worry about the world’s opinion of you as long as you’re right with the Lord.”5 Content with the quiet “applause of heaven,”6 he always sought to respond to God’s will. 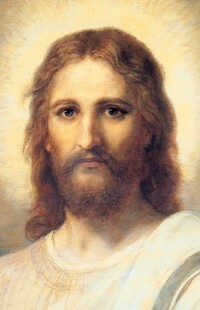 The Savior, who is “meek and lowly in heart” (Matthew 11:29), is our great example of humility. The Lord has warned us to beware of pride. I earnestly seek an interest in your faith and prayers as I strive to bring forth light on this Book of Mormon message—the sin of pride. This message has been weighing heavily on my soul for some time. I know the Lord wants this message delivered now. The central feature of pride is enmity toward God and our fellowmen. Most of us think of pride as self-centeredness, conceit, boastfulness, arrogance, or haughtiness. All of these are elements of the sin, but the heart, or core, is still missing. The central feature of pride is enmity—enmity toward God and enmity toward our fellowmen. Enmity means “hatred toward, hostility to, or a state of opposition.” It is the power by which Satan wishes to reign over us. The proud cannot accept the authority of God giving direction to their lives. (See Hel. 12:6.) They pit their perceptions of truth against God’s great knowledge, their abilities versus God’s priesthood power, their accomplishments against His mighty works. Our enmity toward God takes on many labels, such as rebellion, hard-heartedness, stiff-neckedness, unrepentant, puffed up, easily offended, and sign seekers. The proud wish God would agree with them. They aren’t interested in changing their opinions to agree with God’s. The proud stand more in fear of men’s judgment than of God’s judgment. 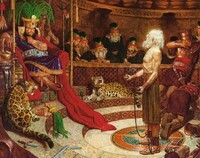 King Noah’s pride led to Abinadi’s death and to his own death. Fear of men’s judgment manifests itself in competition for men’s approval. The proud love “the praise of men more than the praise of God.” (John 12:42–43.) Our motives for the things we do are where the sin is manifest. Jesus said He did “always those things” that pleased God. (John 8:29.) Would we not do well to have the pleasing of God as our motive rather than to try to elevate ourselves above our brother and outdo another? Some prideful people are not so concerned as to whether their wages meet their needs as they are that their wages are more than someone else’s. Their reward is being a cut above the rest. This is the enmity of pride. Pride is manifest in many ways. Pride is a sin that can readily be seen in others but is rarely admitted in ourselves. Most of us consider pride to be a sin of those on the top, such as the rich and the learned, looking down at the rest of us. (See 2 Ne. 9:42.) There is, however, a far more common ailment among us—and that is pride from the bottom looking up. It is manifest in so many ways, such as faultfinding, gossiping, backbiting, murmuring, living beyond our means, envying, coveting, withholding gratitude and praise that might lift another, and being unforgiving and jealous. Disobedience is essentially a prideful power struggle against someone in authority over us. It can be a parent, a priesthood leader, a teacher, or ultimately God. A proud person hates the fact that someone is above him. He thinks this lowers his position. Selfishness is one of the more common faces of pride. “How everything affects me” is the center of all that matters—self-conceit, self-pity, worldly self-fulfillment, self-gratification, and self-seeking. Another face of pride is contention. Arguments, fights, unrighteous dominion, generation gaps, divorces, spouse abuse, riots, and disturbances all fall into this category of pride. The scriptures testify that the proud are easily offended and hold grudges. (See 1 Ne. 16:1–3.) They withhold forgiveness to keep another in their debt and to justify their injured feelings. Pride limits or stops progression. Pride is a damning sin in the true sense of that word. It limits or stops progression. (See Alma 12:10–11.) The proud are not easily taught. (See 1 Ne. 15:3, 7–11.) They won’t change their minds to accept truths, because to do so implies they have been wrong. Pride adversely affects all our relationships—our relationship with God and His servants, between husband and wife, parent and child, employer and employee, teacher and student, and all mankind. Our degree of pride determines how we treat our God and our brothers and sisters. Christ wants to lift us to where He is. Do we desire to do the same for others? Think of what pride has cost us in the past and what it is now costing us in our own lives, our families, and the Church. Think of the many who are less active members of the Church because they were offended and their pride will not allow them to forgive or fully sup at the Lord’s table. Humility brings unity and strength to marriages and families. The antidote for pride is humility. Pride is the universal sin, the great vice. Yes, pride is the universal sin, the great vice. The captains and the kings depart. Let us choose to be humble. Let us choose to be humble. We can do it. I know we can. Pride is the great stumbling block to Zion. I repeat: Pride is the great stumbling block to Zion. President Benson pointed out that pride led to the destruction of the Nephite people (see section 1.) Why do you think pride has such destructive power? In what ways might people “pit [their] will against God’s will”? (See section 2.) What are some blessings that come to us when we follow God’s will? Why do you think we sometimes ask “What will other people think of me?” rather than “What will God think of me?” (See section 3.) How do our lives change when our greatest desire is to please God? Review the manifestations of pride that are listed in section 4. How can we avoid these manifestations of pride in our lives? President Benson said, “Pride adversely affects all our relationships”—with God and with others (section 5). Why is this true? In what ways do our relationships improve when we are humble? In section 6, President Benson lists ways we can choose to be humble. Why do you think it is better to choose to be humble than to be compelled to be humble? To liken the words of a prophet to yourself, think about how his teachings relate to you (see Teaching, No Greater Call , 170). Consider asking yourself how those teachings can help you with concerns, questions, and challenges in your life. “Cleansing the Inner Vessel,” Ensign, May 1986, 6–7. Boyd K. Packer, in Sheri L. Dew, Ezra Taft Benson: A Biography (1987), 429–30. Russell M. Nelson, in Ezra Taft Benson: A Biography, 430. “Cleansing the Inner Vessel,” 7. Flora Amussen Benson, in Ezra Taft Benson: A Biography, 293. “Beware of Pride,” Ensign, May 1989, 4. “Beware of Pride,” 6–7; hymn text for “God of Our Fathers, Known of Old” by Rudyard Kipling in Hymns, no. 80. Invite those you teach to come prepared to share quotations from the chapter that inspired them.